Brazil and China: What kind of agri-food partnership? Home /China, Food, International Relations/Brazil and China: What kind of agri-food partnership? Since 2009, China has been Brazil´s leading trade partner both for exports (18.6%) and for imports (17.9%). Its agribusiness sector makes up some 50% of the value of these exports. For China, however, Brazil accounts for only 3% of its imports and 1.5% of its exports. In the 1970s when trade relations resumed, it was Brazil that exported manufacturing products to China in exchange for commodities. These roles have progressively reversed and Brazil now receives both cheap consumer products and machinery, equipment and electronic goods in return for its export of minerals and agricultural commodities. Trade between Brazil and China exploded in 2004 and continued until 2013 when the effects of China´s slowdown and the onset of crisis in Brazil made themselves felt. During this period total trade between the two countries increased from US$9 billion to US$80 billion. China accompanied this trade with a diversified portfolio of direct investments in Brazil ranging from telecommunication, petroleum, the car industry, transport and agribusiness. By contrast, only one or two Brazilian firms have established themselves in the Chinese market, although that presence is increasing in the agribusiness sector. In this short piece, we focus on the trends and strategies which are shaping relations between the two countries in the agribusiness sector. Food security has historically been a central concern of State policy and China has maintained a remarkable level of food self-sufficiency over the last 30 years of frenetic economic growth and urbanization. Only some 7% of China´s imports have been agricultural during this period and although this sector´s trade balance is negative, China has become an important exporter of fruit and vegetables. To preserve food security China opted to rely on imports for strategic non-food raw materials. A global wood products value chain was created with timber being supplied by Peru; manioc imported from Thailand as a raw material for bioenergy; and medicinal plants sourced from neighbouring countries. Brazil became a key supplier of pulp for paper production, tobacco and cotton. China´s decision to join the WTO involved an economy-wide commitment to minimum levels of market openness. The key to future agribusiness relations between China and Brazil, however, was the distinction drawn by China between food and feed self-sufficiency and the decision not only to import but basically to out-source animal feed as a way of ensuring self-sufficiency in basic food grains. Priority was now given to imports of animal feed, fundamentally soy, even at the expense of domestic producers. Even these measures, however, were not sufficient and as the new millennium progressed China had to resort to imports for corn, meat and dairy products. In addition, the consolidation of a substantial middle class led to demands for new imported products – coffee, wine and processed foods. The world agricultural trading system was built on the outsourcing of England´s agricultural raw material requirements plus the colonially organized integration of selected products of tropical agriculture. It was redesigned after World War II to accommodate the export drive of U.S. agriculture and the tropical exports of newly independent nations. In the 1970s, Russia´s unexpected large-scale grain demands placed strains on world trade and Japan, the then Asian giant, dependent on food and feed imports to sustain its rapid growth, looked to the opening of new agricultural frontiers in Brazil to ensure adequate future supplies of grains. The entry of China into world agricultural markets raises serious doubts as to the future of this trading system. China has made impressive strides in the modernization of its agri-food system. Important increases in grain productivity are now being complemented by the establishment of modern agro-industrial complexes in poultry, pork and dairy. Nevertheless, for many commentators China´s food, feed and energy demands have been an important factor in the agricultural commodity price hikes of 2008 and 2011. With 20% of the world´s population and only 7% of its arable land in a context of unprecedented economic growth and urbanization accelerating the transition to an animal protein diet, and in spite of its impressive level of self-sufficiency, China is now structurally dependent on world agricultural supplies. Given the size of its demand even low levels of import dependence threaten the functioning of world markets – a 2% dependence on imports of pork would absorb 50% of global pork trade. It is not surprising therefore that China has adopted a series of what can be called, ‘more than market’ strategies to ensure its food and agricultural raw material security. In this it is accompanied by other ‘resource poor’ but capital rich countries, especially from the Middle East. The creation of strategic commodity stocks, land acquisitions, the purchase of leading firms, long term contracts, commodity barter and more recently the development of its own global traders all indicate China´s unwillingness to rely exclusively on world trade, particularly in commodity markets dominated by the ‘big four’ global traders – Cargill, Bunge, ADM and Dreyfuss. 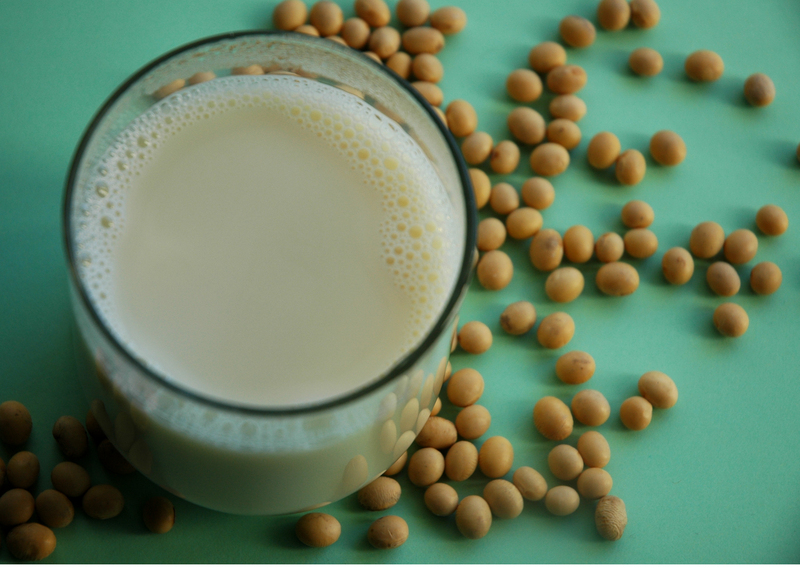 Soy, a strategic component of the animal protein diet and where China is overwhelmingly dependent on outside supplies, provides an illuminating example of the way all these possibilities have been explored within the strategic goal of exercising more than market control over global supplies. The U.S. remains a major soy supplier on world markets but growth in response to Chinese demand has been concentrated in Brazil, which together with the other Southern Countries, has now become the global pole of soy production. Nevertheless China can play off the U.S. and Argentina against Brazil. The latter´s soy expansion over the last decade has been almost exclusively a function of Chinese demand which now accounts for some 75% of its soy exports. China, possibly influenced by its interventions on the African continent, initially focused on large land acquisitions both in Brazil and Argentina. In both countries, negative reactions were followed by laws limiting foreign ownership of land. The negotiation of long term soy contracts was then undertaken with State Governments but these became conditioned on the commitment to invest in local crushing capacity which went contrary to China´s interest in developing global crushing capacity in its home and regional market. A third approach has been to invest heavily in logistics – rail and port facilities for grain shipments – a welcome initiative given the current economic crisis in Brazil which has scared off foreign investment. This investment in logistics and infrastructure has been combined with a bold move to directly challenge the global traders hold over the agricultural commodity trading system. With the recent purchase of the Asian trader Noble and the Dutch Nidera by the Chinese State company COFCO and the purchase of Syngenta, which has a strong position in the Brazilian and Southern Cone soy agricultural inputs market, by China Chem, China has now established hands-on control over a large and growing segment of the Brazilian, the Southern Cone and the global soy market. Ever since its incorporation into the WTO, agricultural trade has been a source of conflict focused on the degree to which nations should open or be able to protect their markets. With the return of China to the global stage, and in the light of broader demographic and climate change factors, the world agricultural commodity market has suddenly become too small to complement domestic demand and ‘more than market’ strategies are becoming the new normal to ensure domestic food security. John Wilkinson is Associate Professor at the Graduate Center: Development, Agriculture and Society(CPDA), Federal Rural University, Rio de Janeiro (UFRRJ) where he researches and lectures on the world agrifood system and economic sociology, about both of which he has published widely in Latin America, Europe and the US. Image Credit: CC by mc559/Flickr. Pingback: Chicoms set to take over America’s largest port!